Buy or Hire Cold Weather Gear & Equipment? Home > Equipment > Buy or Hire Cold Weather Gear & Equipment? Winter sports holidays can be expensive, and one of the expenses that can’t be avoided is the cost of the equipment you need, whether it’s skis, snowboards or the special winter clothing you need to take with you. It’s My First Winter Sports Holiday, What Should I do for Equipment? If it’s your first time on the slopes, it’s probably a good idea to hire your equipment to start with. You can ask for advice when you get to the resort, and someone with experience will be able to help you get the right gear for your level of ability and experience. That way, you’ll also be able to upgrade quickly when your skiing or snowboarding ability improves, too. Having said that, once you get into the swing of your chosen sport, it then becomes cheaper to buy rather than hire the equipment you need on the snow. Some equipment can become very personal to you and as you get used to it, you find that your skill levels improve, too! Another thing to bear in mind is the amount of time you’re likely to be on the slopes. If your skiing trips are strictly limited to once a year for a week at a time, it is probably more economical to hire new kit every time you go out. That way you’ll get the most up to date equipment every time. What Equipment Should I Buy First? 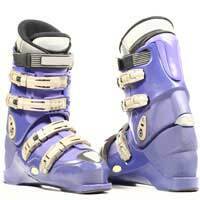 Boots are definitely the first thing to consider buying rather than hire as technically they have the most influence on your ability and if they don’t fit your feet properly they can be painful as well as adversely affecting your skiing or boarding. Another reason to buy early on is that hire boots can sometimes be overused, leading to worn padding, which also means you lose warmth as well as comfort, not great in snowy climates. Should I Buy or Hire Skis and Snowboards? If you get into the winter sports scene in a big way and decide you want to keep it up regularly, it’s certainly worth buying your own set of skis or snowboard. Before you buy, give some thought to the terrain you like most, consider whether you prefer to ski on or off piste for example, and do some research into the best equipment for your chosen sport. Buying your own kit is expensive and you’ll probably want to get some professional advice, too. Most hire shops in ski resorts and back home will have someone on hand who’ll be happy to advise you on the skis or snowboard that will most suit you. Most resort shops even let you try before you buy so that you can compare brands before you have to part with large sums of money for equipment. Another good reason for hiring is that most hire outlets offer insurance against your equipment being stolen or damaged, and of course if you have any problems with it you can just take it straight back and ask for an exchange. Whether you decide to buy your own when you become a real snowboarding freak is then your decision!